re Shoma: he was thinking about withdrawing from both Challenge Cup and 4CC so yes this + going safe in the SP could mean that he's not fully recovered yet. that said, if past examples are an indication, when there is a physical issue Shoma still delivers quite well, and in the field he is the one with the highest PCS (besides jason who is still quite behind in BV tho), so Boyang will need to be focused and land his jumps to defend his title. but yeah podium is quite open. ETA: I forgot Keegan. If he manages to be clean he's gonna have better PCS than Boyang too, so yeah, Boyang need to be focused. Totally following my Boy(ang) for good here and Jun for a medal of any color!!! I only hope that everything goes well for all of them and that Shoma made the right choice ! Sadly I will not be able to watch it live because it comes around 3 a.m. in Germany and we have a meeting at 8 a.m. with my boss ! 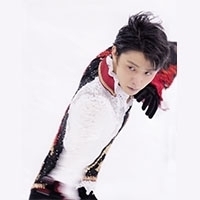 Wish I was going to be at home for this one - it has some skaters I’d like to see without the kind of world without end investment there will be when Yuzuru next skates. Hope Boyang, Jun and Jason put out their best performances. Hope Shoma doesn’t do any more damage. Hope Keiji and Kasuki do well. Above all hope no one gets injured ( any worse than they already are). Shoma smiling next to a bubbly Jason is pretty adorable I wonder how much his Japanese has improved after a few months with the troll master.